Inside: The best homeschool reading curriculum for reluctant readers gives them hilarious and engaging stories they can read right from the start. When your first child is an early and natural reader, your second child is automatically set up for very unfortunate, unrealistic expectations. If he doesn’t start reading right before his fifth birthday, you (or your husband, in my case) panic! You start scrambling for the best homeschool reading curriculum that guarantees it can turn a reluctant reader into a voracious one. For the reluctant reader, many popular homeschool reading curriculums just don’t work. 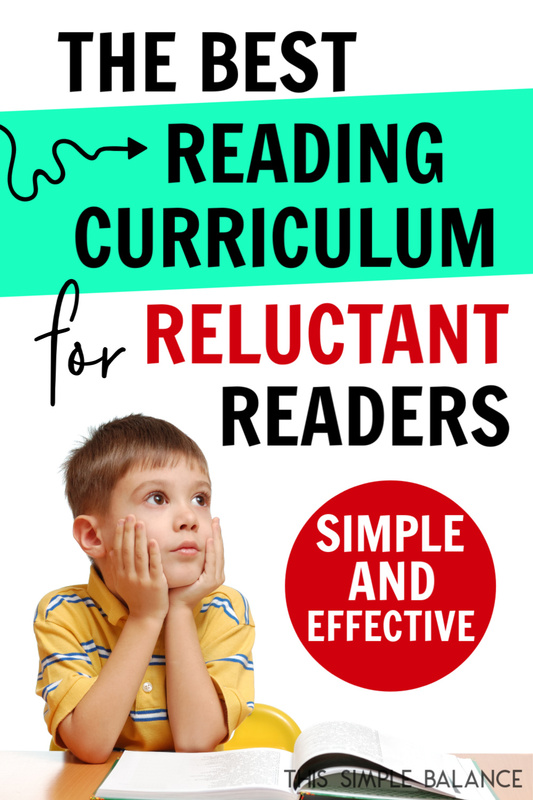 They all fail to provide the one thing that reluctant readers need most. But there’s hope! I’m going to tell you about the best homeschool reading curriculum for reluctant readers – so simple, but so effective – that you’ve probably never heard of (you can thank me later!). “Nooooo! Not THAT book again,” my five-year-old son whined about his younger brother’s book choice. An extremely basic early reader, that Batman book was his brother’s request every night for the past week. “It’s so boring, mom!” he complained again. I reminded him that his brother didn’t always like his book choices either and started reading Batman for what felt like the millionth time. Secretly, I agreed with him. The entire book is made up of the most basic sentences imaginable. The rest of the book makes the opening line, “I am Batman,” seem exciting! But just then, as I started “I Am Batman” yet again, it hit me: the real reason my reluctant reader resists reading (and why no other homeschool reading curriculum will work for him). When you’re at the beginning of learning how to read, the first stories you’re given in most homeschool reading curriculums are BORING. They are so lame, what smart kid in his right mind would want to read them? The kids that make those homeschool reading curriculums sell like hotcakes are either the super compliant kids, the “dying to learn how to read right now” kids, or the “born reading” kids. My reluctant reader? He didn’t fit any of those descriptions. There are definitely other reasons why kids resist reading instruction: competition with an older sibling, lack of readiness, a learning disability. But if, as a homeschool mom on the second or third time around the learning to read rodeo, you have a hunch that your child is otherwise ready to read, and he’s absolutely digging in his heels at any reading curriculum you’ve tried, the boring factor may be the real reason. But guess what? Kids don’t have to slog through a million boring stories for a whole year until they can get to the good stuff. They can start with engaging, funny stories right away. Bonus? 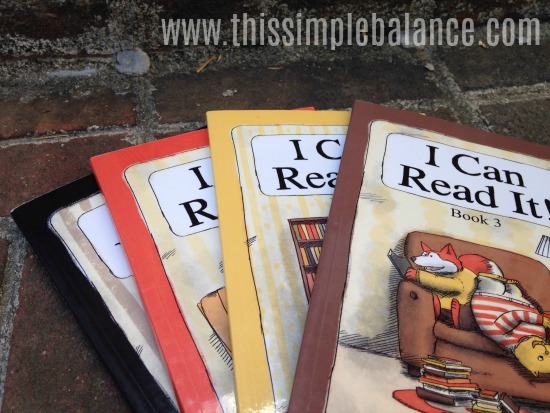 This reading curriculum is perfect for relaxed and minimalist homeschoolers. I discovered I Can Read It! Books two years ago, when I purchased a used Sonlight Core in an online Facebook Buy/Sell Group for homeschoolers. I actually didn’t even want these particular books, but it was included in the Language Arts additional curriculum for Grade 1 (my daughter was reading well beyond Grade 1 by that time). When I opened the box, I glanced at the I Can Read It! Books and quickly set them aside, eager to get to the rest of the contents. Ironically, I stopped using Sonlight a few months later – it just didn’t fit the relaxed homeschooling style we eventually adopted. Only when I was doing a homeschool curriculum purge several months later did I actually take a good look at the books. John Holzmann wrote these books specifically to provide a homeschool reading curriculum with readings that had a “relatively high level of interest to students.” He wanted “to provide real stories, complete with conflict, action, and plot” (I Can Read It! Word List, Preface, iii). Writing engaging stories that followed a “thorough, low-cost, phonetically-correct introduction to reading” is no easy task (I Can Read It! Word List, Preface, iii). 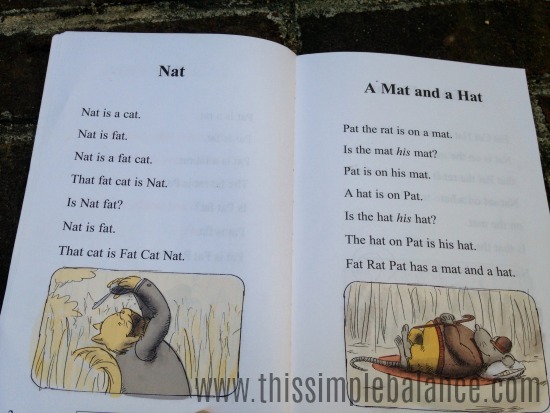 Each story uses a very small set of words that corresponds to a specific phonetic rule. Lesson one, for example, teaches three-letter words that end in –at. There are five stories that correspond with lesson one. Some of these stories do include sight words (the first five include seven total: is, a, the, that, on, his, and has), but the remaining words are exclusively words that end in –at. The stories are engaging and funny! I have tried other reading curriculums (that claimed they were the best reading curriculum ever) in the past: Teach Your Child to Read in 100 Easy Lessons, for example. As a relaxed homeschooler, I naturally lean toward simple, straight-forward options. None of them had funny, engaging stories like this one. I laugh out loud at almost every story! There are no teeny tiny pieces to keep track of. As a minimalist (as much as you can be with four kids and a non-minimalist husband), I love homeschool curriculum without all the bells and whistles, and tons of little pieces to keep track of. With only four small books, this reading curriculum certainly fits that requirement. Depending on your child’s reading level, you can start with a word list OR a story. Right now, we start with attempting a story, and I teach the phonics are we go along. We then use the word lists for easy practice and confidence building, when he’s tired from working so hard at decoding. You can easily use the curriculum as it’s designed, but it’s extremely flexible as curriculum should be. I also love that there’s no syllabus glaring me in the face telling me what I should be doing. We currently use a very loose homeschool schedule because of the crazy toddler: what gets done in the day, gets done. We pick up the next day where we left off. When I first started homeschooling, I looked into All About Reading – a popular homeschool reading curriculum. Each level cost around $160. With four levels, it would cost me well over $600 (plus new ____ for every child) JUST for reading. Yikes! These books cost at most $45 altogether (with tax and shipping), but you can easily find them used on Amazon for less. They can be used again and again for each child. I don’t know many homeschoolers who don’t want to save money, especially big homeschooling families. You have a kinesthetic learner. If you have a child that would benefit from all those teeny tiny letters and cut-outs I mentioned above, this may not be the reading curriculum for you. However, you could always purchase 2-3 simple letter magnet sets to use as manipulatives to make I Can Read It! work for you. You want more explicit phonetic instruction. For me, reading is pretty straightforward. I think the word lists with phonetic pronunciations is sufficient to teach my children to read. Other homeschool parents may not agree, or you may have a child who needs a lot more explanation. You have a struggling reader. Holzmann clearly states that he wrote the curriculum for the average reader. 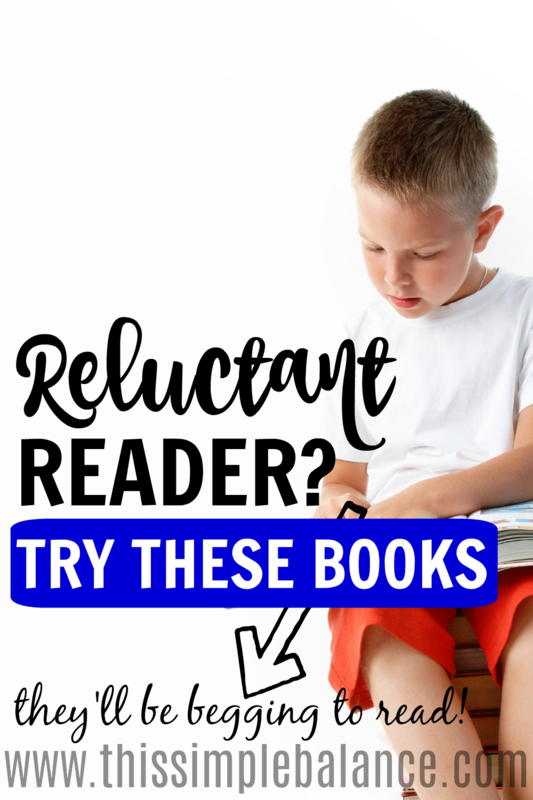 If your child is not only a reluctant reader, but also a struggling reader, you may need to look into more involved homeschool reading programs for struggling readers like All About Reading. 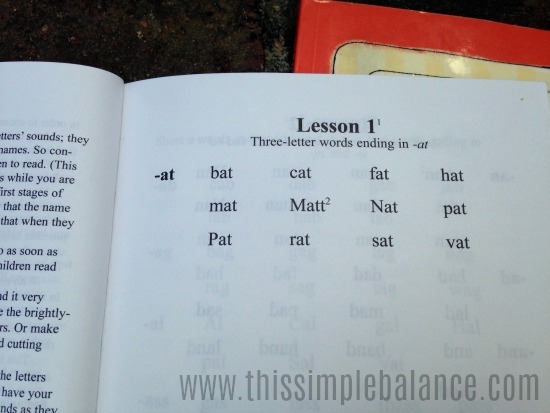 Learning to read should be fun – plain and simple. Why? Because it CAN be. Is everything in life fun? No. But one of my primary goals as a homeschool parent is to instill a love of reading in my kids, and I bet yours is, too. If you can find a way to teach reading that makes your reluctant reader fall in love with reading, why not use that homeschool reading curriculum? If all your reluctant reader sees is years of simple, boring stories stretched out ahead of him, he may drag his feet and resist reading instruction for months, or years even. 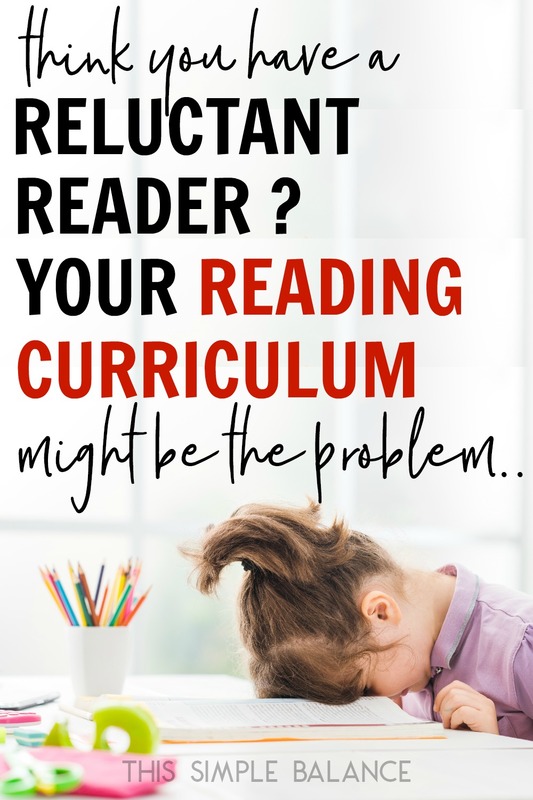 On the other hand, if you can give him engaging stories at his reading level every step of the way, you might be surprised at how quickly your reluctant reader is begging you to teach him how to read! 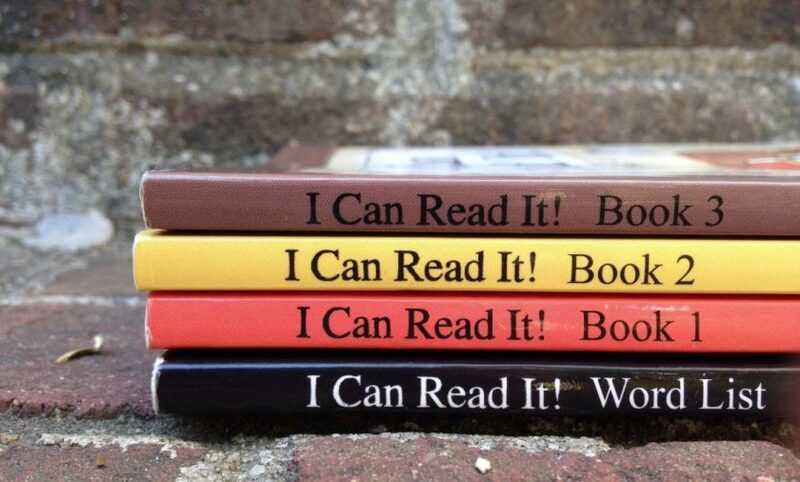 If you’re tired of boring reading curriculums, you need to try I Can Read It! Books. You can find them directly through Sonlight or used and new on Amazon.